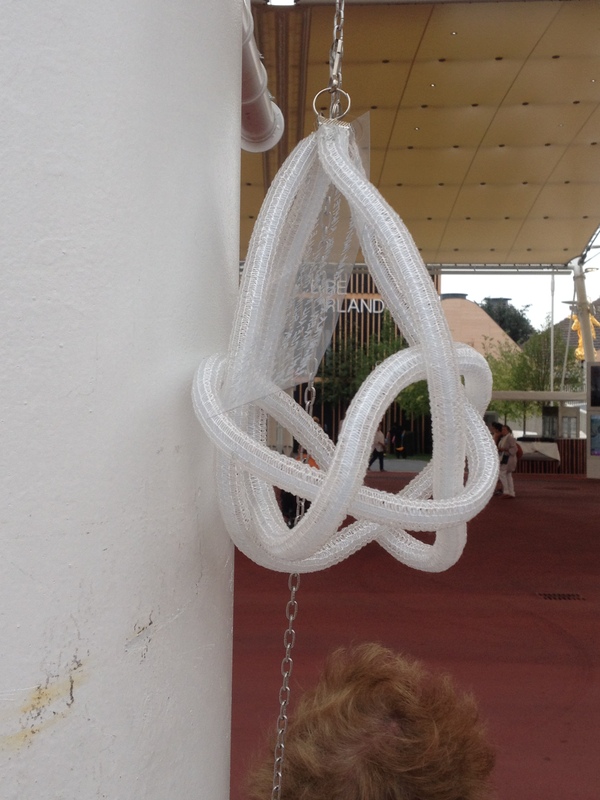 For the origin of the name, see Wikipedia. 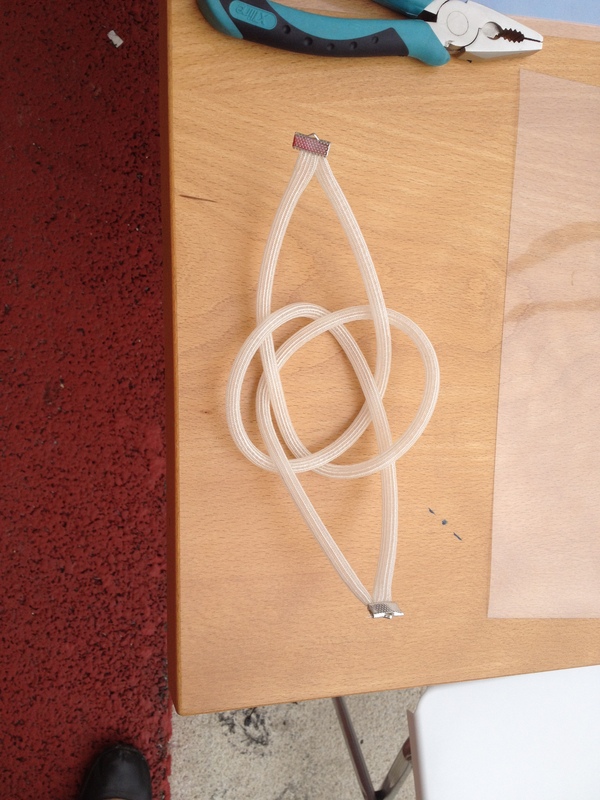 Images made by Alain Esculier. 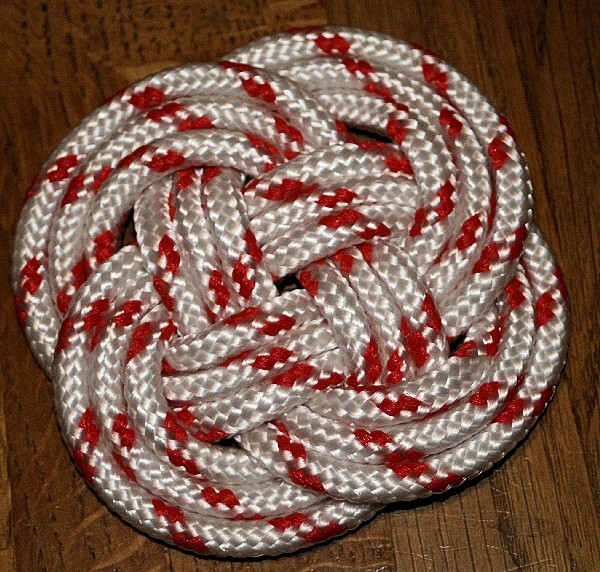 The open carrick bend is the knot with 8 alternating crossings made from the two entangled loops opposite. 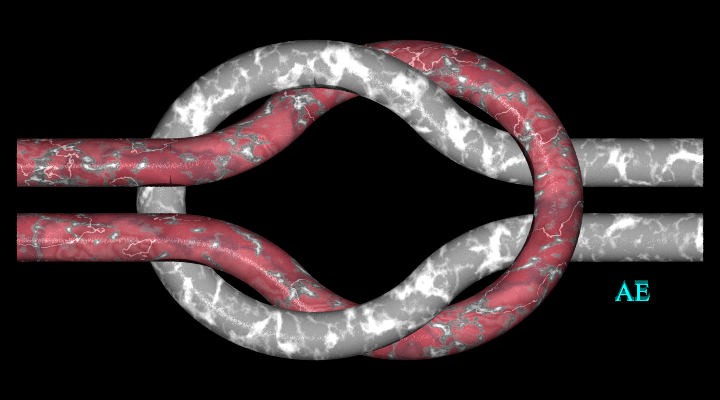 We get a link with 8 alternating crossings composed of two untied loops shaped like an eight. 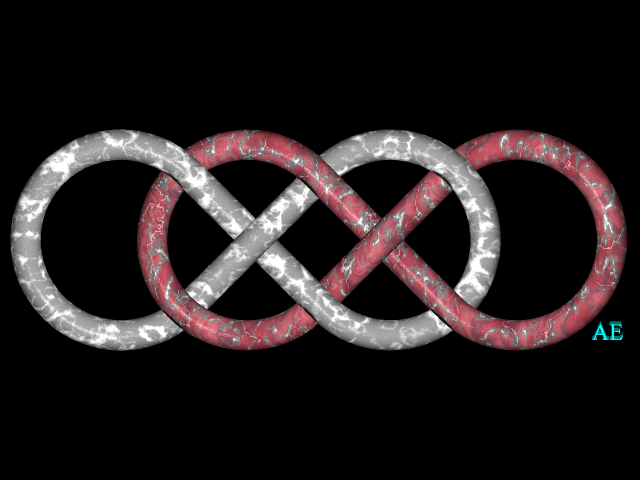 In the Rolfsen table, it is the seventh prime link with 8 crossings and two loops . 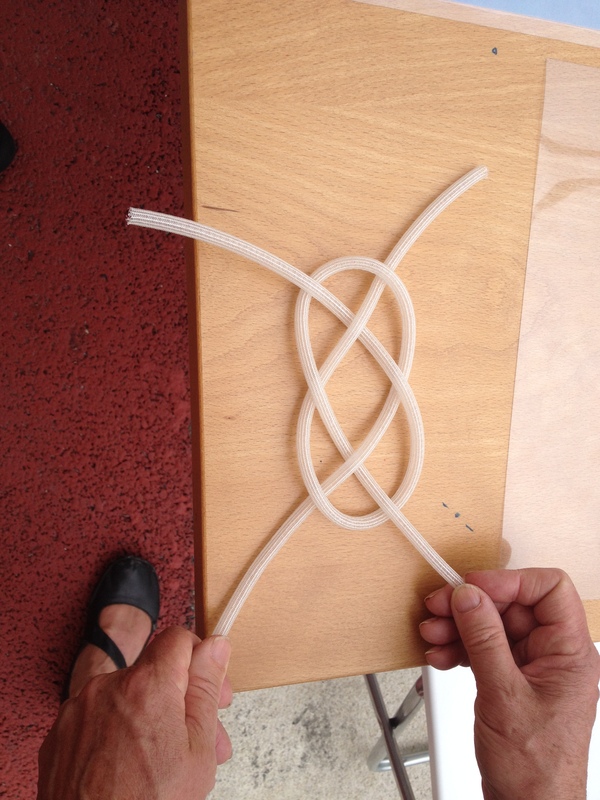 We get a knot with one loop and 8 alternating crossings. 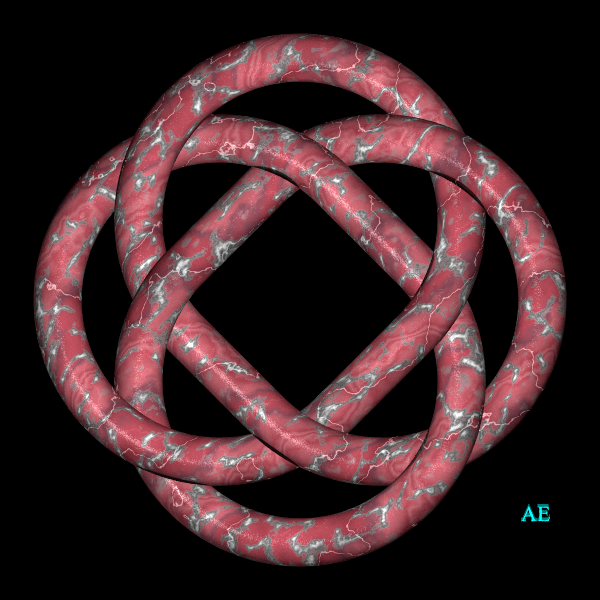 It is the 18th prime knot with 8 crossings : 8.1.18. 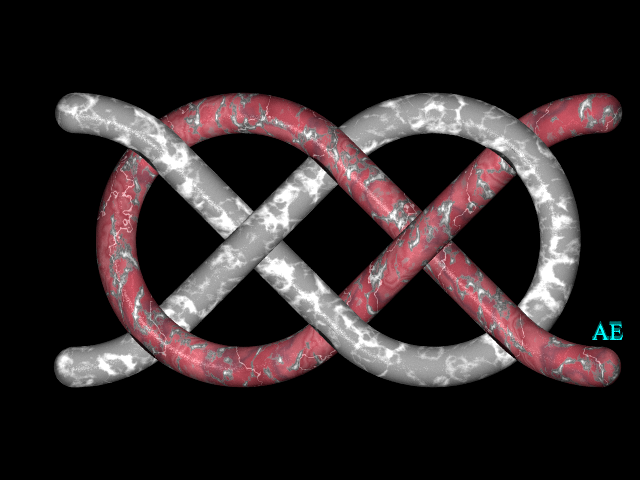 The opposite representation shows that the above knot also has a vertical symmetry; the knot 8.1.18 can therefore also be obtained with a carrick bend placed vertically. 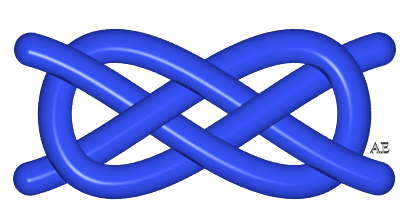 The open carrick bend should not be mistaken for the open flat knot (6 crossings) which is also useful to connect two blades; if we connect the blades that have the same color, we get, this time, the trivial link with two loops, and if we connect the blades that have different colors, we get the square knot, sum of two trefoil knots. 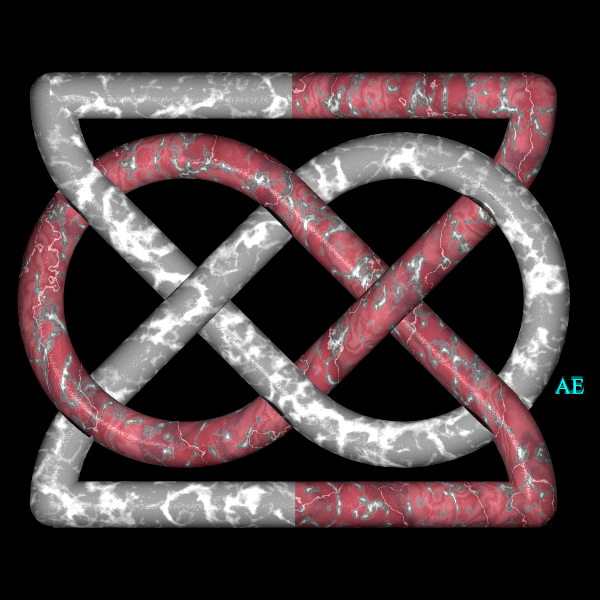 See the interpretation of the carrick bend as the trajectory of a billiard ball.